Canon's newest "L" series lens is its first mid-telephoto macro lens to include Canon's sophisticated Image Stabilization. 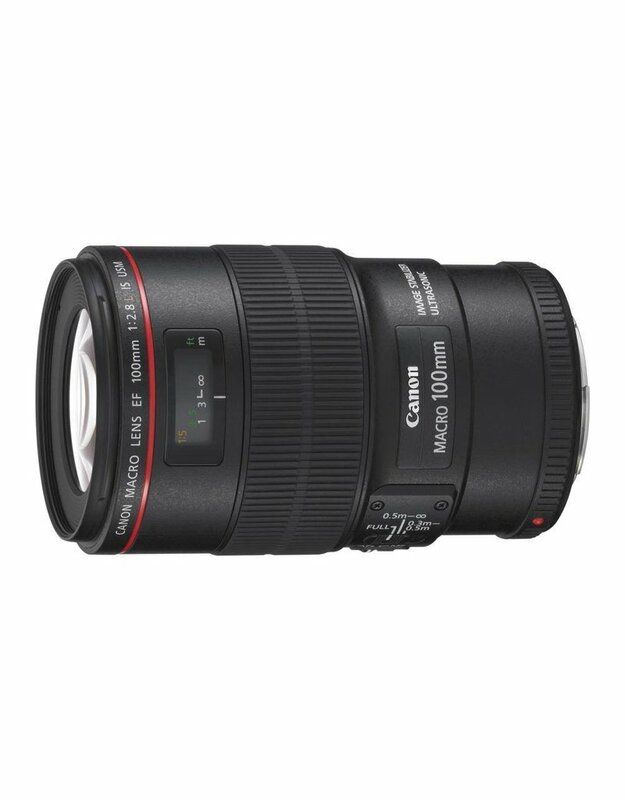 With the highest quality optics available, combined with near-silent Ultrasonic focusing and life-size close-up capabilities without an adapter, the EF 100mm f/2.8L Macro IS USM is simply unrivalled.Primarily designed for close-up shooting, the EF 100mm f/2.8L Macro IS USM from Canon is a versatile L-series short telephoto prime that is also well-suited for portraiture and other mid-range subjects. 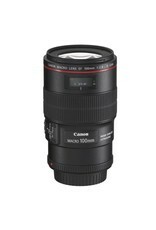 As a macro lens, however, this 100mm offers a life-size, 1:1 maximum magnification and an 11.8" minimum focusing distance. Complementing close-up shooting, an Image Stabilizer is featured that minimizes camera shake by two stops at full 1:1 magnification, or up to four stops at lower magnifications for sharper handheld shooting. 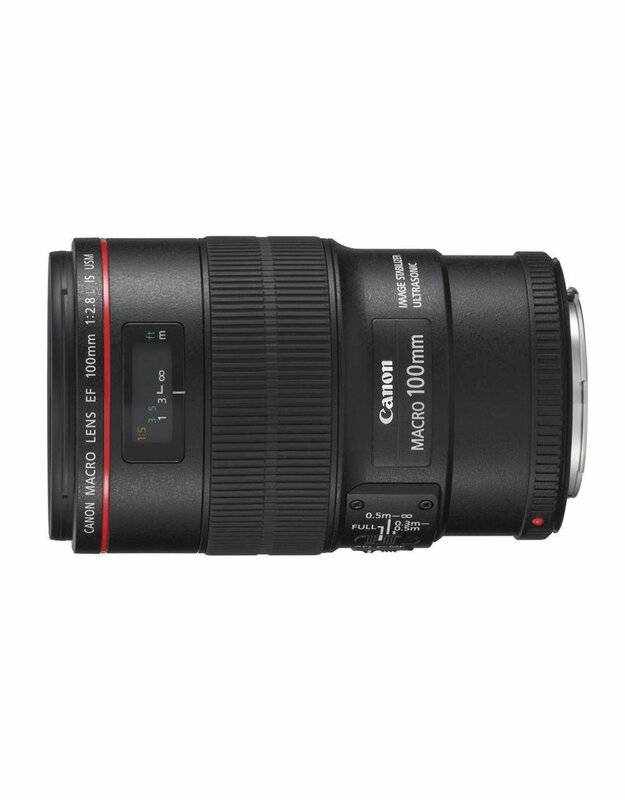 Also contributing to smooth and intuitive handling, a ring-type USM and internal focusing design offers quick, quiet, and accurate autofocus performance along with full-time manual focus override. In regard to its optical assets, one ultra-low dispersion element is featured, to control color fringing and chromatic aberrations, and a Super Spectra coating has been applied to suppress flare and ghosting for improved contrast and color fidelity. Additionally, as an L-series lens, this 100mm f/2.8 is weather-sealed for working in inclement conditions. 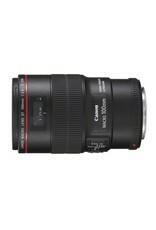 Short telephoto prime is designed for full-frame Canon EF-mount DSLRs, however can also be used with APS-C models where it provides a 160mm equivalent focal length. 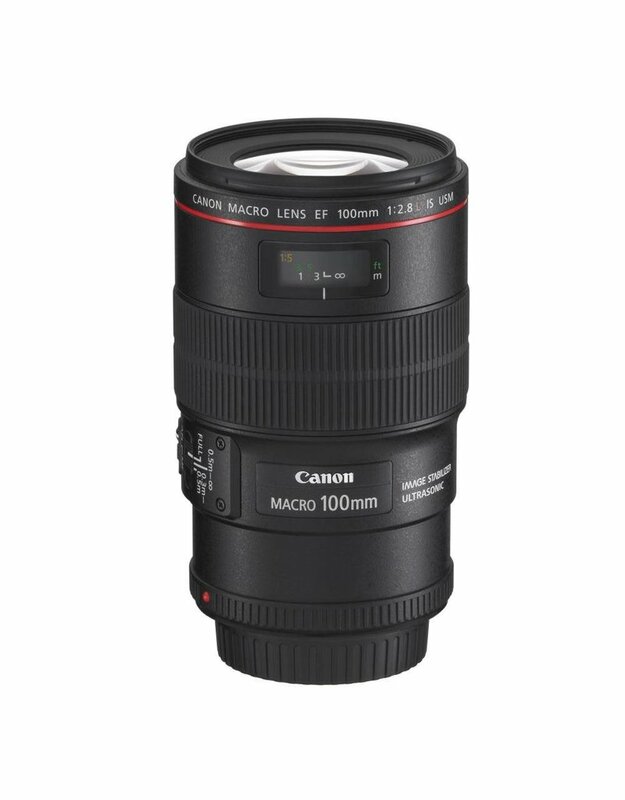 Ideal for macro shooting, this lens offers a life-size 1:1 maximum magnification along with a minimum focusing distance of 11.8" to suit working with close-up subjects. One ultra-low dispersion (UD) element greatly reduces chromatic aberrations and color fringing for improved clarity and color accuracy. An Optical Image Stabilizer helps to minimize the appearance of camera shake to better enable working in low-light conditions and with slower shutter speeds. The effectiveness of this system compensates for up to two stops of camera shake at 1:1 magnification, three stops at 1:2 magnification, and four stops at lower magnifications. A ring-type Ultrasonic Motor (USM), and internal focusing design, is employed to deliver fast, precise, and quiet autofocus performance as well as full-time manual focus override. Focus Limiter switch lets you constrain the focusing to three different ranges for faster focusing performance: 11.8"-1.6', 1.6'-infinity, and the full 11.8"-infinity range.